For over 28 years, F.E. Sawyer Building Systems, Inc. has treated our clients with honesty, integrity, and repect...with no high-pressure sales. F.E. Sawyer is a family business, and because it has our name on it, we take pride in our workmanship and strive to offer our customers the best quality and service. Sawyer Building Systems also believes in being involved in the community. F.E. 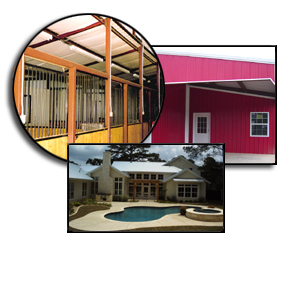 Sawyer Building Systems looks forward to helping you with your business or home project.